Throughout the Universe, energy tends to move in spirals, naturally forming matter into spheres. The polarity of opposites creates vortexes throughout nature — from galaxies, the movement of solar systems and the gravitational fields that create planets, hurricanes and typhoons, tornadoes, are also seen in the eddies in the currents of wind and waves. Reflected even in the growth of plants, DNA strands, and in molecular and atomic structures, the swirling patterns of the Golden Mean and Fibonacci’s Curve are omnipresent throughout the universe. Taoist sages recognized these patterns as well, and these universal truths are reflected in Bagua Zhang, the “Eight Trigrams Palm“, a refined and formidable martial art founded on an ancient practice of meditative circle walking. The goal of this ancient circle walking practice was to increase vital energy and find attunement with the energy of the universe and enlightenment. energetic dynamics for alchemical internal cultivation. Moving from Center – with gyroscopic Centrifugal and Centripetal Force, going with the flow with continuity and non-resistance. Opposite but Complimentary Force and Movement – this unifies the whole body, for maximum expression of power. Bagua is the most ambidextrous martial arts system, emphasizing training both sides of the body bilaterally. Maintaining bows and curves in the body and limbs – stretching open like the arches in bridges, and bows in archery, it also applies to powerful stances and footwork, and efficient expression of force through the body, arms and hands. In striking along straight lines, the force spirals like drilling. In circular strikes and kicks, the hands and feet cut in elliptical arcs from one’s center. In grappling, the arms & legs coil and wrap the opponent’s to counter, lock and sweep. In throwing, body and hands spiral in elliptical arcs to disrupt balance of the opponent. Energy flows in a torus spiraling around the body, as in all magnetic and gravitational fields. 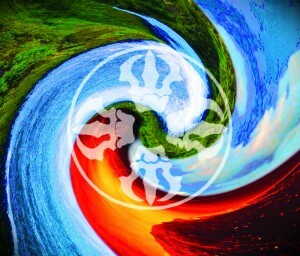 The Intrinsic Life-Force Energy (Qi) naturally flows to and from spherical, spiraling fields, or centers in the body – expanding (reeling outward) and contracting (reeling inward) vortexes — understanding this dynamic maximizes efficient force with minimal effort – conserving strength by utilizing the power of spherical structure and stability. 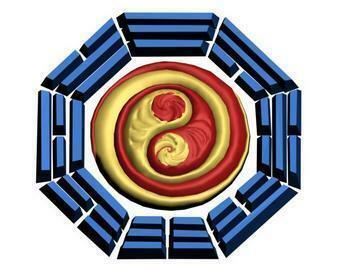 Bagua Zhang’s emphasis on these coils and spirals naturally increases the practitioner’s vitality. The rigorous and balanced training stimulates the mind, increases strength, flexibility and dexterity, while also cleansing impurities, and promotes healing on physical, emotional and spiritual levels. 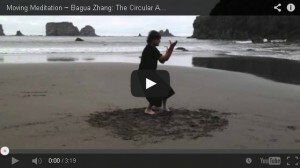 Bagua Zhang is truly a profound, life-changing holistic method of self-cultivation and self-defense, and why I am so passionate about sharing this amazing, life transforming practice with as many people as I can. Starting in November 2016, regular classes and fees will be reduced. Please RSVP to all classes you plan to attend. This new schedule will provide us the opportunity to create more instructional video and written reference material of the Mace Martial Arts curriculum for my students. We are also seeking a more stable indoor location for our classes. Stay tuned for more details! — please *Contact me* to schedule times to continue your training. Register for Private Classes here! Family and and referral discounts available — for the referring student and the new students — spread the word about our Bagua Zhang classes!